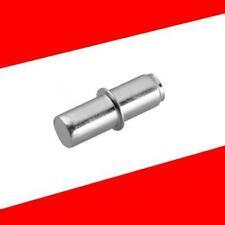 Boltless Design for Easy Construction. 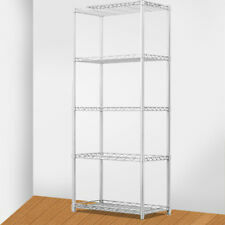 Universal & Multipurpose Storage Shelves. 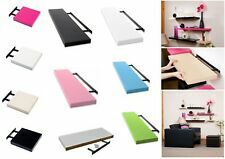 Shelves: 5mm Thick MDF. GREAT PRODUCTS. Weight: 10.9 kg. Width: 70 cm. Height: 150 cm. 00 59 58 57 56 55 54 53 52 51 50 49 48 47 46 45 44 43 42 41 40 39 38 37 36 35 34 33 32 31 30 29 28 27 26 25 24 23 22 21 20 19 18 17 16 15 14 13 12 11 10 09 08 07 06 05 04 03 02 01 00. 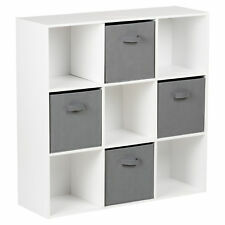 Hartleys White 9 Cube Storage Unit. Internal cube: 28.5cm x 28.5cm x 29.5cm. Storage box: 28cm x 28cm x 28cm. Simply add or remove storage boxes as desired. Unit: 91cm x 91cm x 30cm. 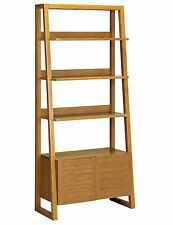 Canterbury 6 Shelf Bookshelves Shelving Unit. 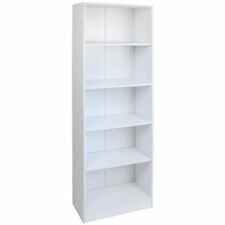 Wonderfully versatile, the piece can be used as a bookcase or display centre for lounge spaces, hallways, or bedrooms. Wherever you place this gorgeous piece, it’s sure to create a vibrant focal point in your abode. Lacquered MDF Solid Construction. Easy Self Assembly. Quick Code: G-LADDERGRY Grey Ladder. 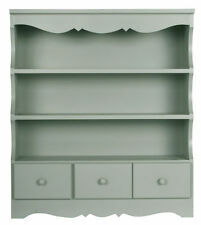 Ladder Grey Shelf Unit. Big Furniture Warehouse. © Big Furniture Warehouse. Size = (W) 54cm (D) 36cm (H) 189cm. 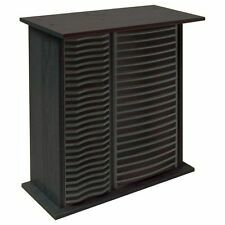 Retro Wall Unit. Made from iron and wood. Requires screws to fix to wall. Four shelf levels. Accessories shown in the pics are for display purposes only and not part of the sale. 3M Aluminium Loft Attic Stair Ladder 3 Sections with 2 Handrails Non-Slip 150KG. Our rack's adjustable leveling feet allow the shelving unit to be placed on uneven ground, while the distance between the bottom shelf and the ground can also be adjusted to your preference. There's no doubting that bookcases are extremely practical pieces of furniture. In addition to displaying books and some of your most prized possessions, they can also be used to divide rooms and add character to empty spaces such as hallways and dining rooms. With a range of different styles and finishes to choose from you're sure to find the right bookcase, shelving and storage furniture for your home. 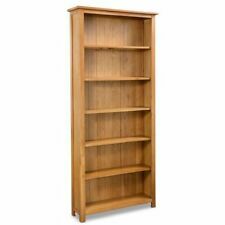 Depending on the volume of books and other items you wish to display, you may prefer something small and functional such as unit or bracket shelving or something larger like a bookcase or tower. Display cabinets and drawer units let you display your items whilst boxes and cases keep your items out of the way. You'll be able to find whatever height and width you desire, or can create your own by spacing shelves to your desired measurements. Choose from different styles and periods including antique, Art Deco, contemporary, French country, farmhouse and Victorian shelving units. Whatever design style you're looking for brands such as Woltu, John Premier and Mercers Furniture offer various units suited to a range of different styles of interior design. If you're confident with DIY you can opt for a flat pack solution. 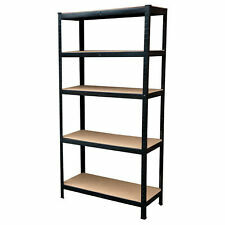 For something that comes ready made, some wall mounted bookcases, shelves and stackable styles require no assembly. You can also select shelving that's specifically designed for the room it's going to go in, with kitchen and bathroom units having different finishes that will protect the materials from water and heat damage. The material you select for your shelving can make a big difference to the aesthetics of the room. Heavy duty woods such as oak, ash, birch, beech, mahogany and maple will make a strong statement, while lighter woods such as bamboo and pine will achieve an altogether different effect. If you opt for pine, wood panelling or MDF, you can always update it with a lick of paint in years to come.